Bringing you all our demolition news and projects in our latest blogs on deconstruction work. From dismantling rollercoasters to demolishing sensitive structures, we have a wealth of experience capturing iconic changes across the UK. Read all about our work from our extensive news archive. 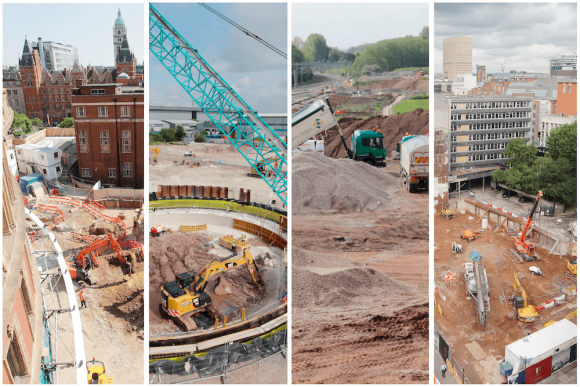 A large proportion of our work is for contractors who wish for their construction projects to be time-lapsed. But more and more companies are interested in the whole narrative, which includes both the demolition & construction phase of work. How are time-lapse videos made? The making of a time-lapse video involves many important technical processes. We consider all the basics. Urban environments are always under development, making them ample spaces for time-lapse projects. We consider what time-lapse can bring to the table in the city. Pre-construction works, like demolition, are just as fascinating as time-lapse construction projects. We detail some interesting examples.